One of my favourite things about blogging is that it allows you to experiment with all the fun things life has to offer! It rewards you for having fun, being creative and working extremely hard. One thing that I always wanted to feature on my blog, but never had the guts to do is easy and fun recipes! I am a bit of an experimental person when it comes to food and I prefer improvising as opposed to following specific steps and measurements, unless I’m baking! I rarely feature my own cooking on the blog, but this time I was challenged by Cuisinart to create toasties that I love using the Cuisinart Sandwich Maker. 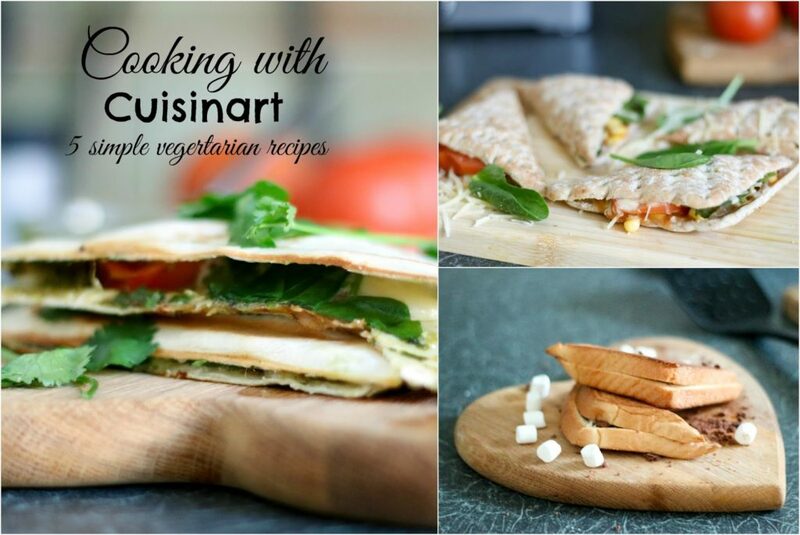 So rather than going on about how Cuisinart Sandwich Maker has become my favourite kitchen utility because it’s simple to use, easy to clean and makes a good toastie in seconds, I thought I’d show you the amazing things you can do with this sandwich maker! You might have seen similar recipes before, but these are all my own favourites that I’ve improvised, so there’s no exact measurements! That’s the beauty of a toastie! The method is super simple! Just spread the ingredients evenly on one of the tortilla wraps and place the other one on top – just like how you make a sandwich! Remember to trim the edges of the wrap so that it fits into the sandwich maker. Cook for around 3 minutes on medium heat. Garnish with coriander leaves. This is a basic Caprese recipe in a wrap with a bit of twist! The sandwich maker melts the mozzarella perfectly and it also cooks the veggies, so it requires minimal preparation! Spread the ingredients evenly across the two Warbuton thins and cook in the sandwich maker for around 3 minutes on medium heat. This sandwich takes the classic tacos recipe (minus the meat) and stuffs it inside a sandwich. It’s very similar to the first recipe, so you can always mix it up and swap the sandwich thins with the tortilla wrap! Grate the carrot and courgette. Spread the ingredients evenly across the Warbutons thins. Season with black pepper and whatever other seasoning you like. This is one of my favourite creations and I love how fresh and healthy it is. You need minimal cheese for this one or if you prefer, you don’t even need cheese. The sandwich maker is great for cooking the vegetables within the sandwich and you don’t even need oil! Spread the almond butter, sliced banana pieces and maple syrup on one of the waffles. Place the other piece of waffle on top and cook for 1 minute. Remember to not leave it in for too long… I ended up burning mine (as you can see)! 😛 Top the grilled waffle with icing sugar. I tried to make the recipe slightly more healthy by using almond butter and maple syrup, but you can use peanut butter and honey or jam if you like! Break the Bourbon biscuit into small pieces. Spread the Nutella on the brioche and spread the biscuit and marshmallow on the Nutella brioche. Honestly, I’m saving the best for last! The marshmallow literally melts in the sandwich maker, but the biscuit is still crunchy! I just love how simple this recipe is and how yummy it tastes! This Cuisinart Sandwich Maker doesn’t just make toasted sandwiches! 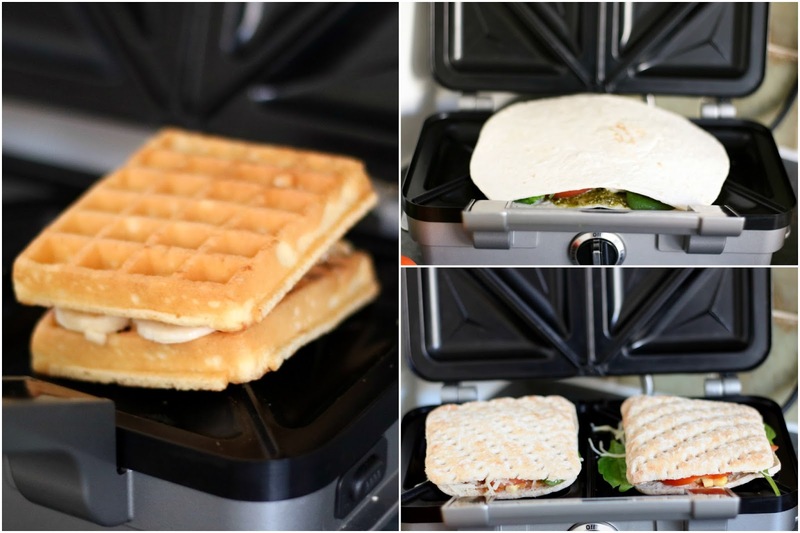 It makes toasted waffles, tortillas, paninis and even omelettes! Let me know which of these recipes is your favourite and if you have any cool sandwich maker recipes! *Disclaimer: This is a collaboration post, but the words and recipes are my own.